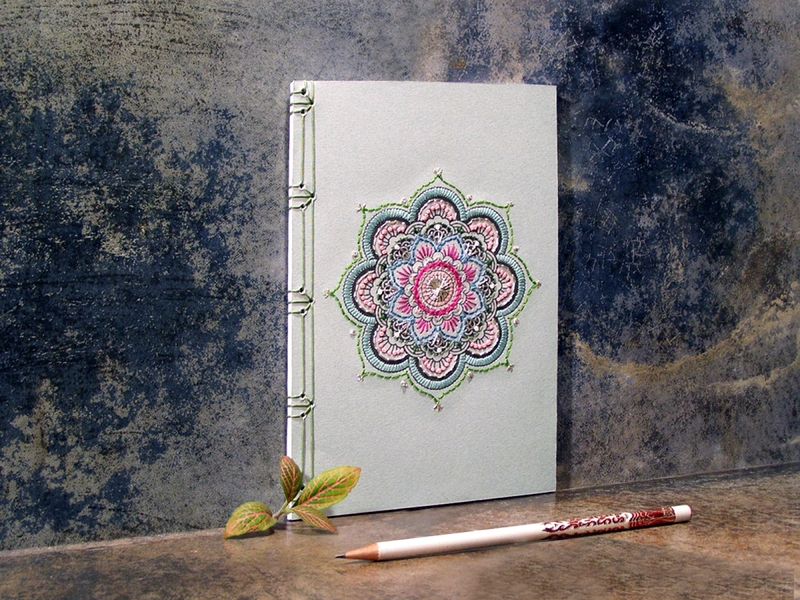 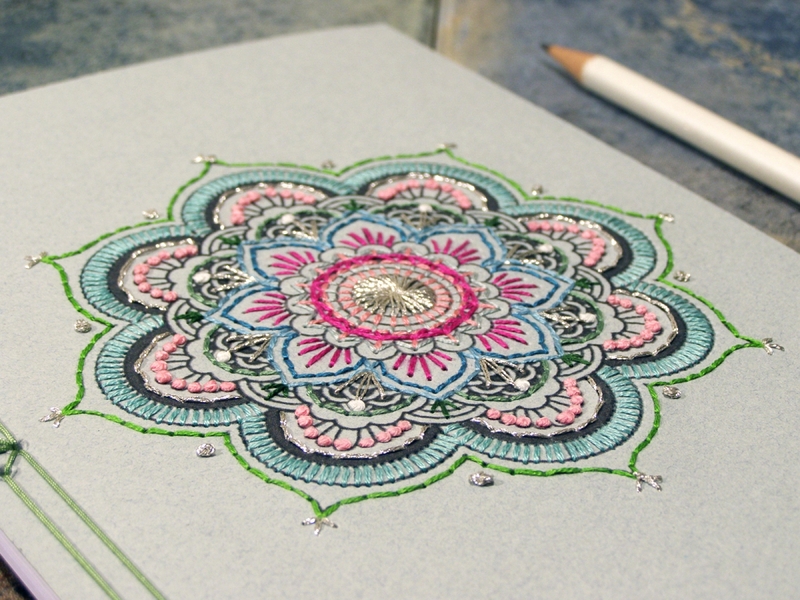 Front cover of a mint card stock, with a Mandala print, embroidered in colorful cotton threads and a touch of silver metallic floss. 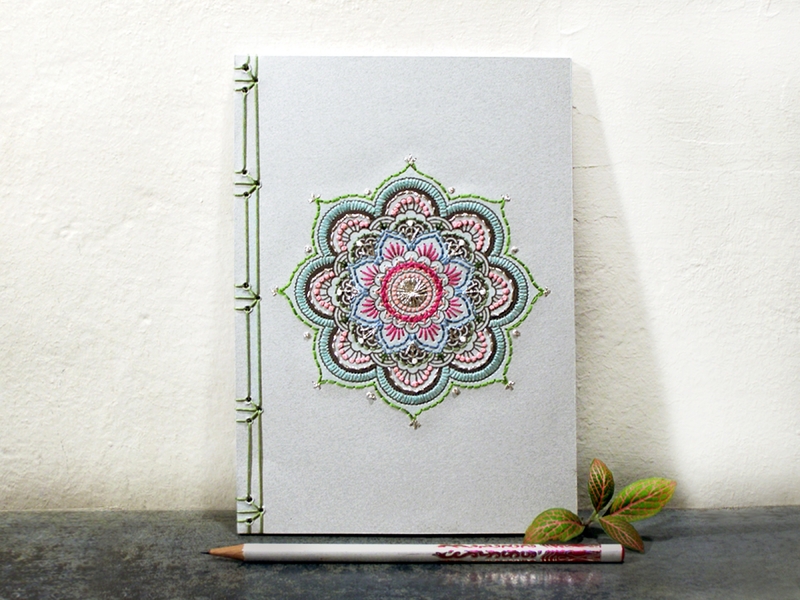 A gorgeous notebook colorful and joyful! 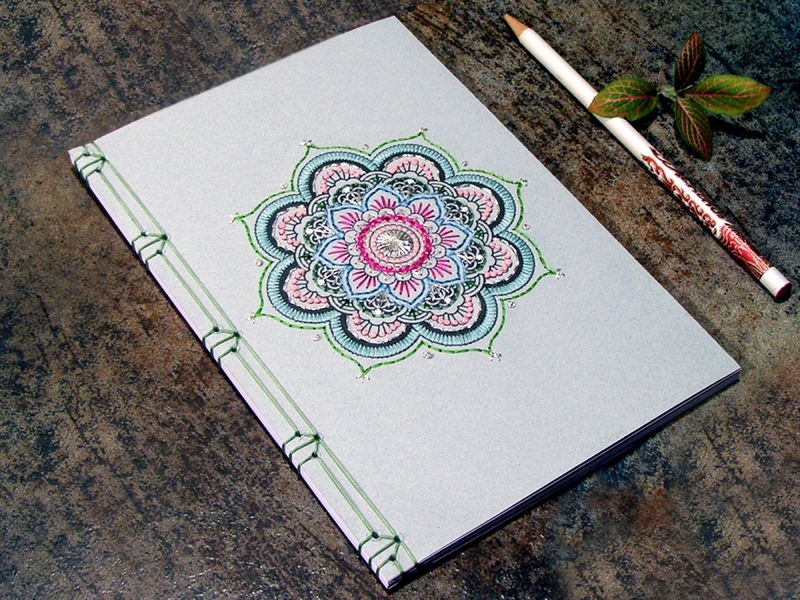 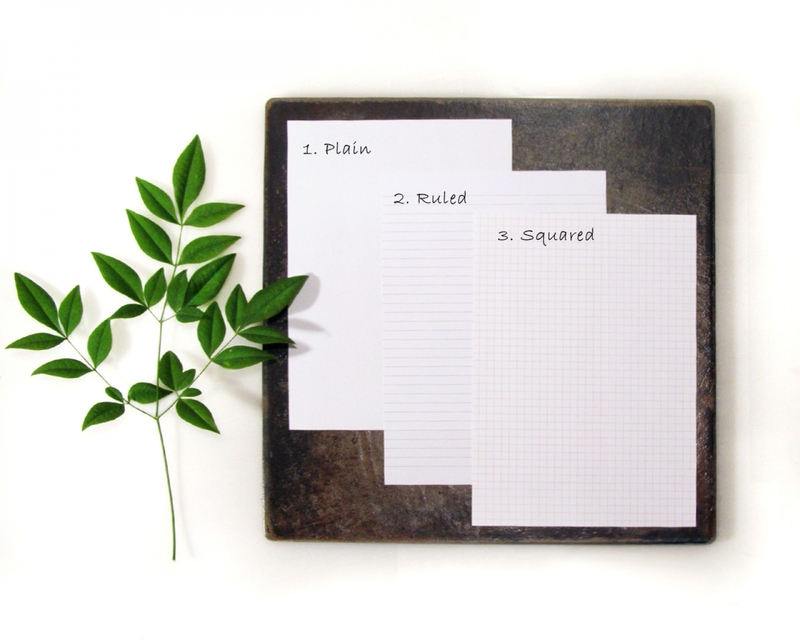 A perfect gift for a Yoga lover or a Boho friend.